The Copious Christian: Paganism ? Everyone has their own beliefs but you, as a Pagan believe your beliefs are The Truth, do you not? If you don't believe your beliefs are true then why believe it? If you do, then shouldn't you share it? If you don't believe your beliefs are true and they serve no benefit to you, then Paganism is useless to you and you're wasting your time. If you have a belief that you don't believe to be true then why have it? You cannot be apart of a religion without believing it is true. If you believe that your beliefs are true ONLY FOR YOU, then ultimately you don't have any beliefs but rather a self constructed ideology that you labeled as Paganism. Your idea of Paganism may contradict other Pagans, so you don't have a definitive truth but rather your truth. Your truth can and will be different from what others believe is true. People argue that not all Christians believe them same, and I would agree that we Christians disagree on debatable issues, but no one can call themselves an honest Christian without believing that Jesus was God in the flesh, died for our sins and resurrected were true events that happened. Denial of those tenants will immediately disqualify you from claiming the title of Christian. What may I ask disqualifies and qualifies someone to be a Pagan? Can I be a Pagan who doesn't believe in gods? If so then gods aren't essential to your beliefs. Can I be a Pagan who doesn't believe in the supernatural? If so then belief in the supernatural is not essential to your beliefs. Can I be a Pagan without engaging in any sort of worship? If so then worship is not essential to your beliefs. Can I be a Pagan and affirm Evolution? Can I be a Pagan and believe in a Heaven and a Hell, or do I even have to believe in an afterlife? If so, then an afterlife is not essential to your beliefs. What are the essentials of Paganism? What must I deny and affirm to claim that title? There are MANY different sects of Paganism and I make no attempt to cram them all together as one thing, but I'm asking you my Pagan friend about your sect of Paganism, what are the essentials and non-essentials and what do they mean? I am not a Pagan, what will happen to me if I am not a Pagan? If you answer is nothing then why are you a Pagan if being a Pagan and not being a Pagan yield the same results? I am a Christian not because I was raised a Christian, but because I have examined Christianity and believe it to be The Truth. My benefit for being a Christian is to spend eternity with God who I believe to be The Supreme Creator of all things, to not be a Christian would mean I would have to spend eternity away from God, and I don't want that for myself or anyone else. Ironic note: Many Atheists claim that they shouldn't be punished for what Adam has done, but the ironic thing is that they're doing exactly what Adam did, which is disbelieve God. Adam ignored God and therefore was punished for it, Atheists ignore God and therefore are punished for it, but Atheists complain that isn't fair, despite the fact that they're doing the same thing. Just a little bit of irony. Furthermore any Atheist who says they wouldn't have done what Adam did, counter that by stating that they're already do it right now by not believing. Sin has corrupted us (Romans 3:23, Isa 59:2) and God, being a just god must punish Sin, but God also being a loving god did not want us to be punished, so He engineered a way for our sins to be punished without us having to bare the punishment (John 3:16-20). He gave us Jesus Christ, who is God in the flesh and took our punishment for us (1 Peter 2:24, 1 Cor 15:22, 2 Cor 5:21) and the only way we can get back into a good relationship with God is to affirm that Jesus has done what He did for us (Heb 2:17, 1 John 3:5, Matt 20:28). Therefore by being a Christian, I lose my desire to go against God and I am able to follow Him and His teachings more and more (Eph 4:20-24,Col 3:1-10)and I am forgive for my sins because Jesus speaks to God on my behalf (Romans 8:26,34), this however DOES NOT mean that I have a free license to sin (Romans 6:1-2), it means that I am not the means of my own salvation. Meaning getting into Heaven is NOT based on what I do, I cannot perform any good deeds that'd get me into Heaven (Isa 64:6,Matt 7:21-23, Eph 2:8-9). The only thing that will get me into Heaven is Jesus and Jesus alone (John 8:24, John 14:6). Jesus died for all of our sins, including yours and all He asks is that you believe in Him and follow He teachings? In return you'll get to spend eternity with God. That is what Christianity offers you. What have you to offer me dear Pagan? Or is Paganism just a personal preference, meaning it has no value in eternity, it's just applicable to the here and now, but when the here and now is gone and went what will Paganism lead to? 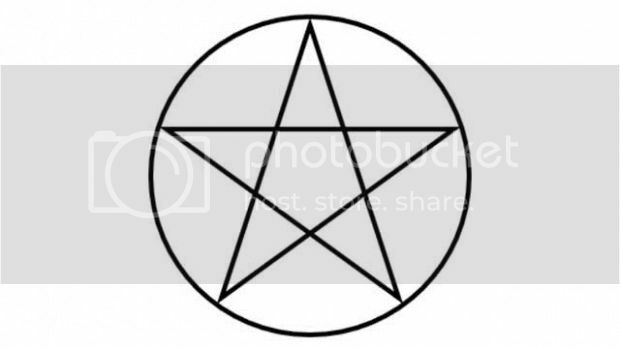 Anyway I'm just asking because I'd really like to know more Paganism, specifically Wiccan Paganism, but every time I go and research it I find completely different ideas of what Wicca is, as there are some who are into the Witchcraft sect of Wicca and others who are not, however they don't seem to be at odds with each other. There are Wiccans who hold to evolution while still holding to a supernatural world view which makes no sense really, there are some who believe in gods and goddesses while others don't, so I don't know who's right and who's wrong and I'd like a little help. Anyway those are my thoughts and questions for Pagans, please leave your answers in the comments and I promise I'll read them. Peace in Christ!